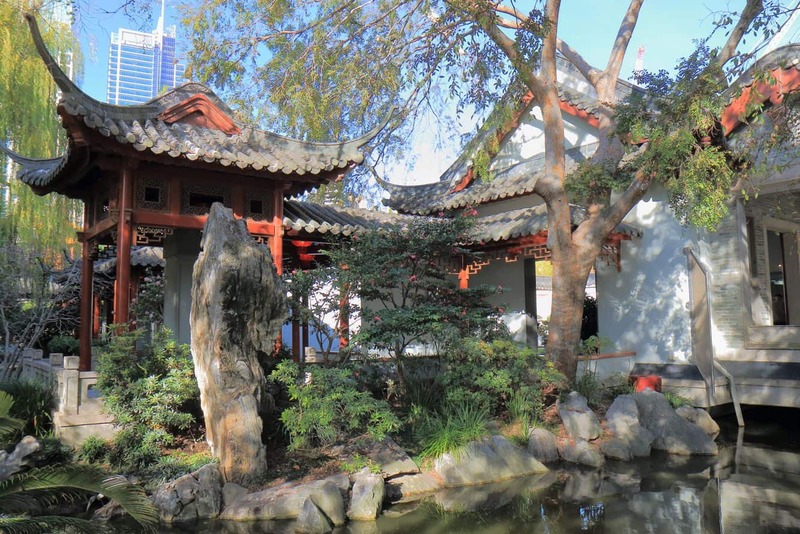 The Chinese Garden of Friendship is an enchantingly beautiful destination tucked away towards the south end of Darling Harbour and just a few minutes from Chinatown. 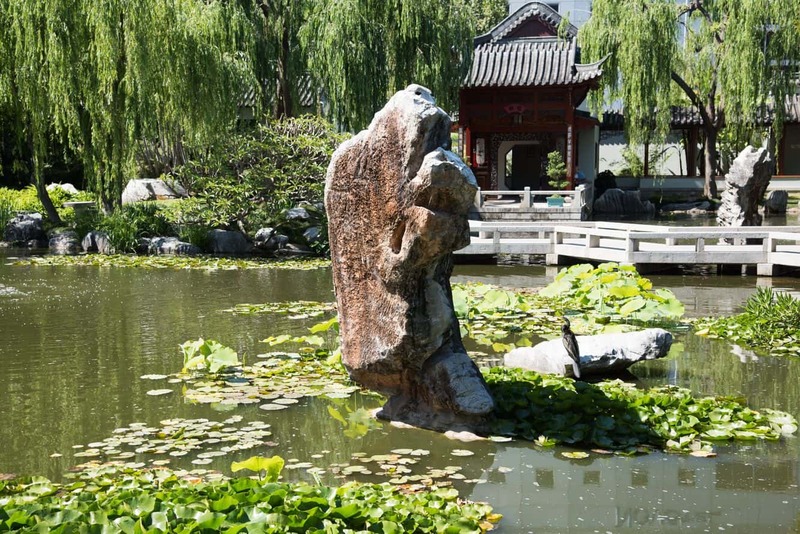 These gardens are rich in Chinese heritage and culture, and the ultimate escape from the vibrant buzz of the city. The orange gates welcome you to a world of refined beauty and quiet serenity. 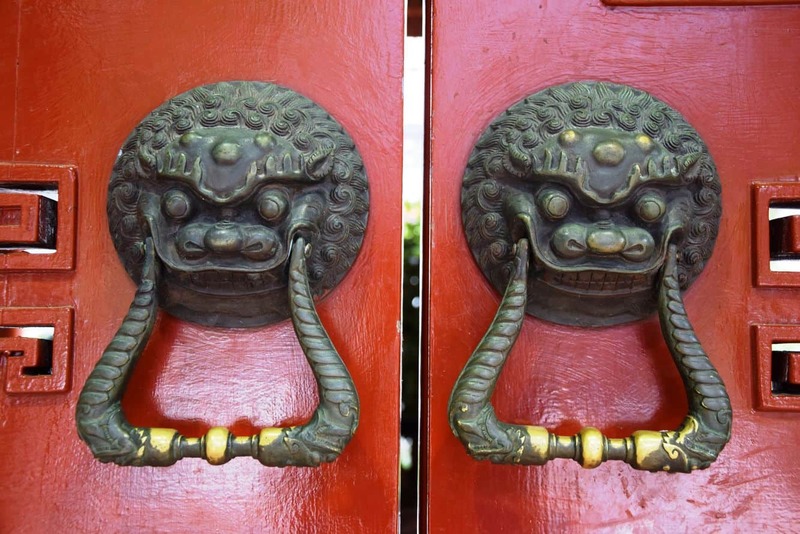 The two lion statues at the gate, which represent yin and yang, are known to guard and protect the gardens all throughout the day. 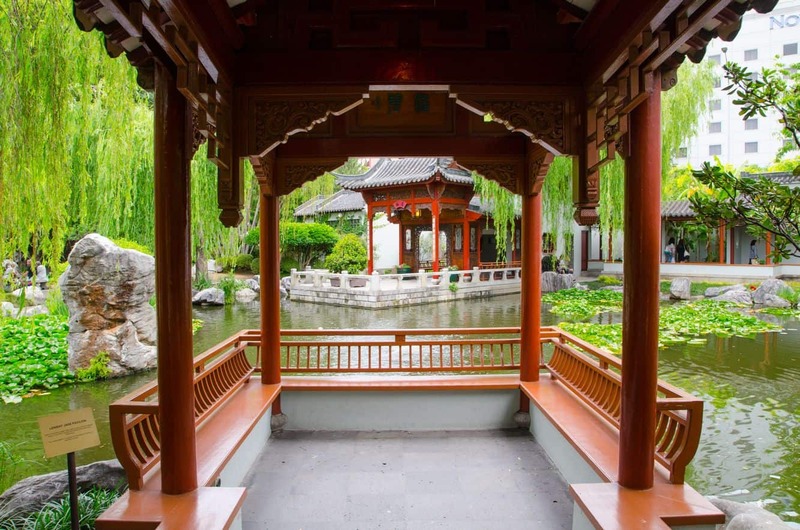 Past the gates, visitors are ushered in to resplendent beauty, a stroll that feels like walking back in time to ancient China. 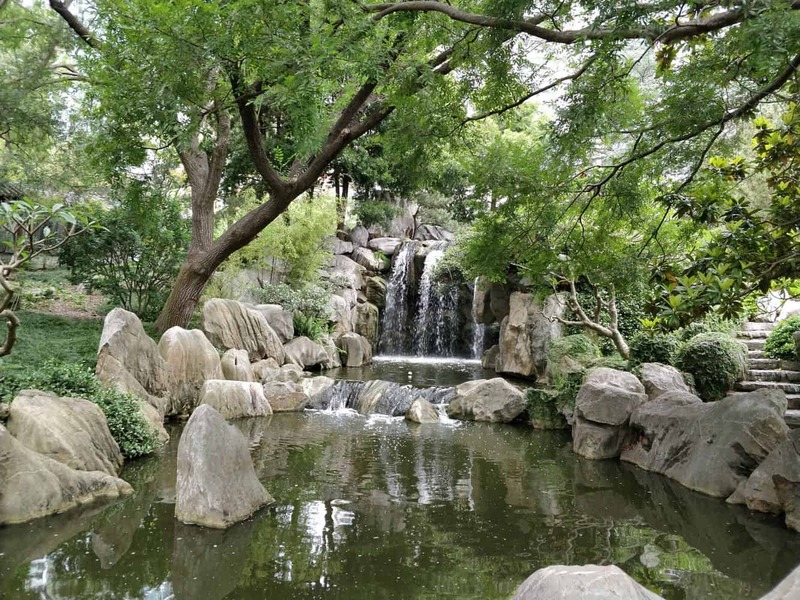 The essence of developing the gardens was to recreate the harmony of a traditional Chinese garden. 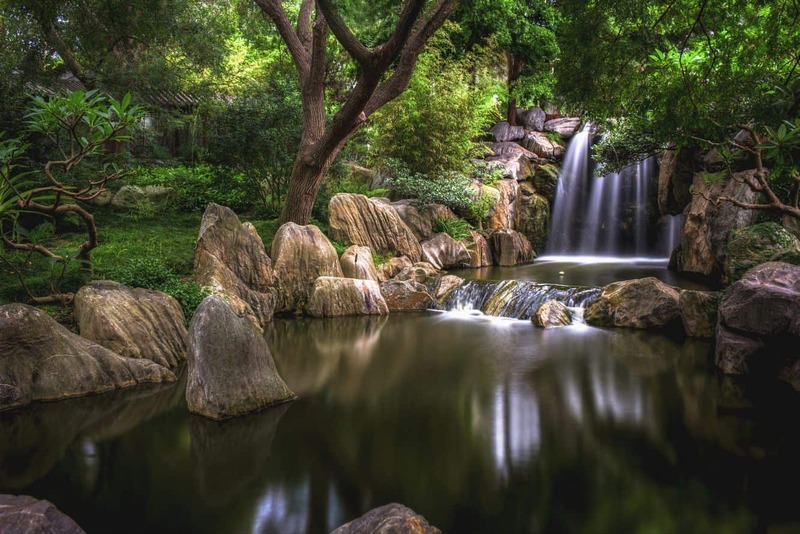 The diverse flora that dots the garden, coupled with the soothing sounds of the cascading waterfalls makes for a heavenly destination to unwind. 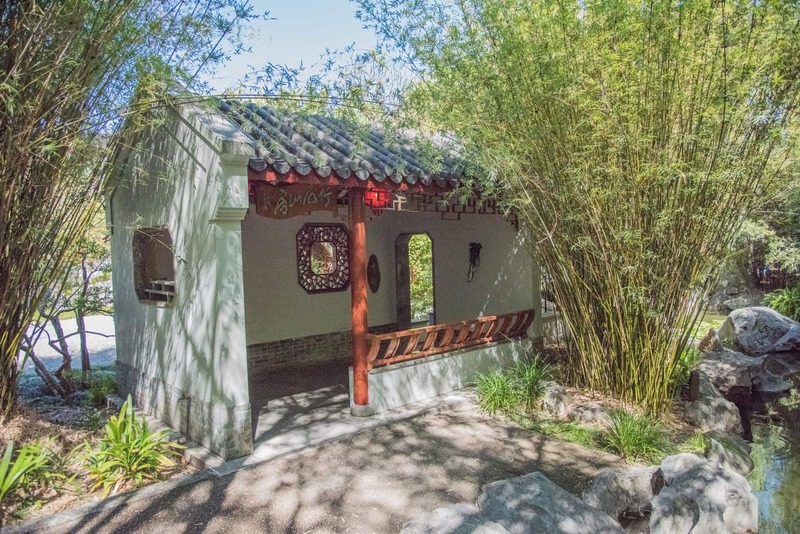 The towering willow trees provide shade while making a home for the diverse birdlife at the gardens. The lotus plants on the other hand, colour the water surfaces beneath which colourful fish swim about. 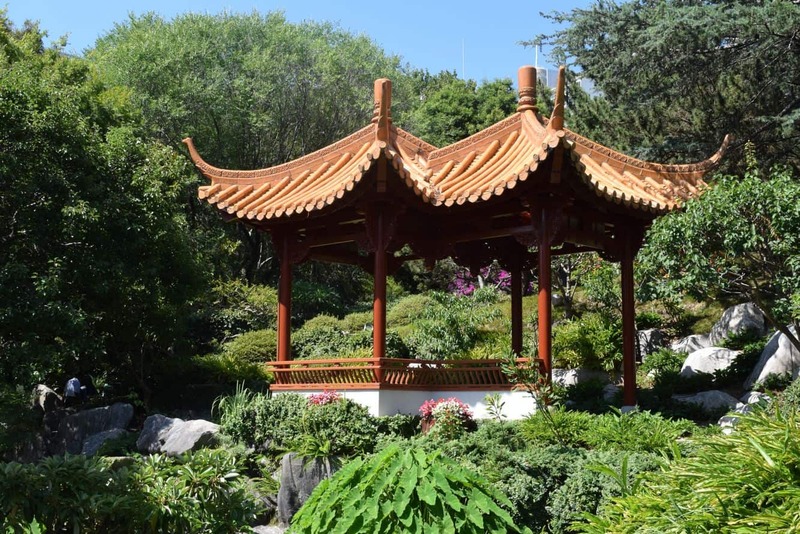 These are, essentially, the sights and sounds of nature that make this garden a top attraction. 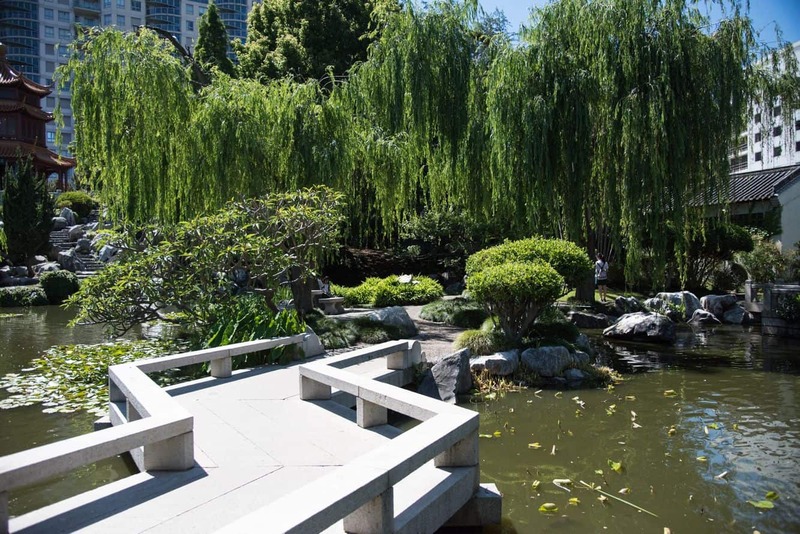 Simply sit and soak in the calm beauty of these gardens. There are beautiful vistas all around the garden. For those visiting with the kids, they will certainly enjoy discovering the garden’s nooks and crannies with surprises along the way. 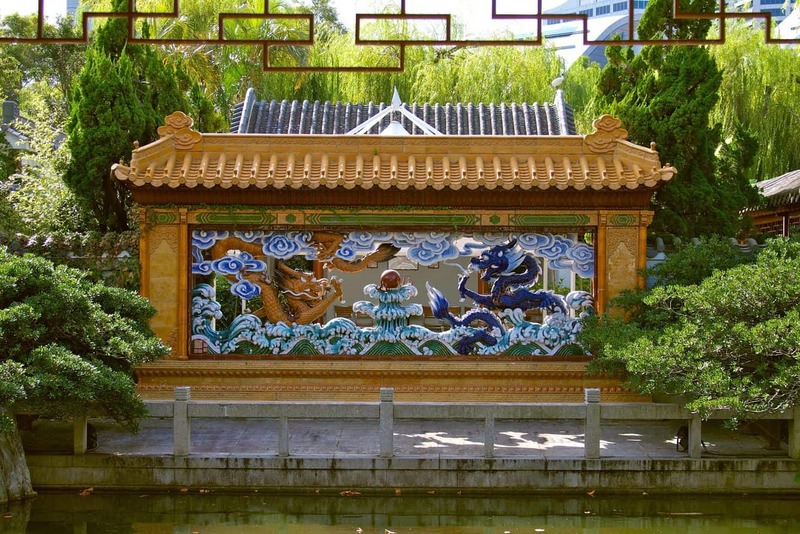 It is impossible to talk about the heavenly aura of the Chinese Garden of Friendship without making mention of the intricate architectural style onsite. 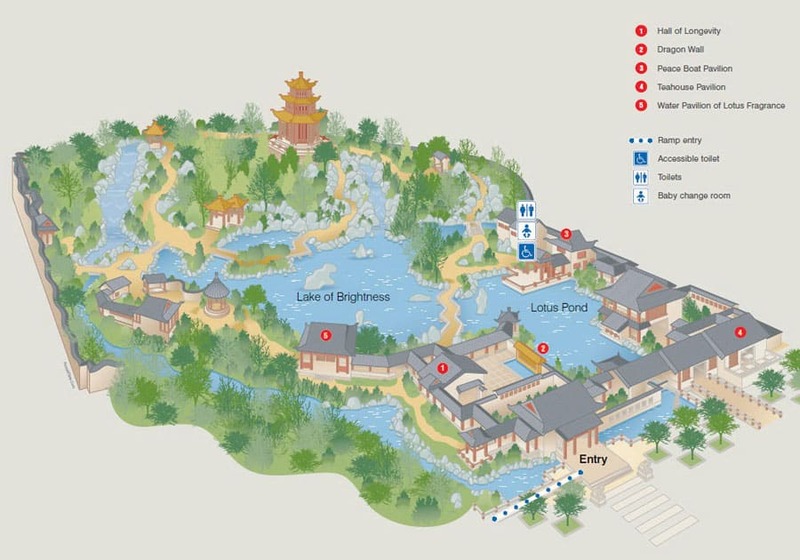 Designed by Chinese landscape architects, the overall design of the garden was based on ‘Yin-Yang’. 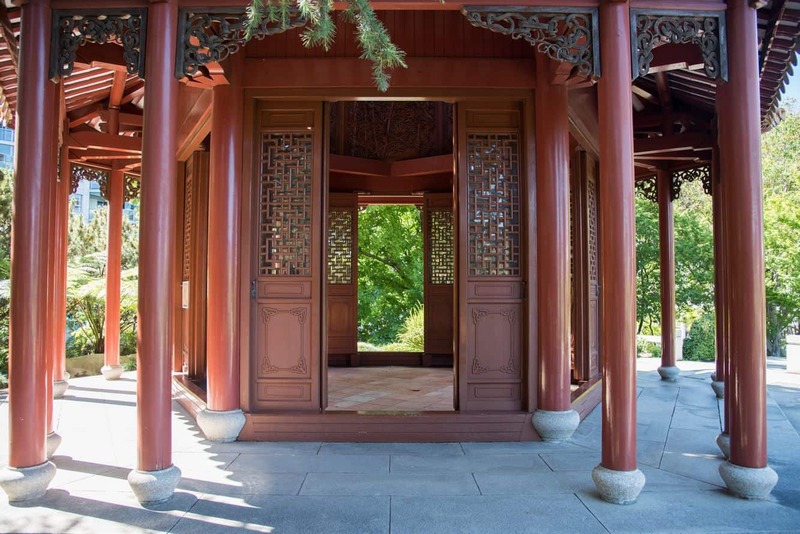 Walking through the garden’s main pavilion, you cannot help but take note of the centralized pagoda. To get here however, you’d need to stroll through the garden’s numerous features. 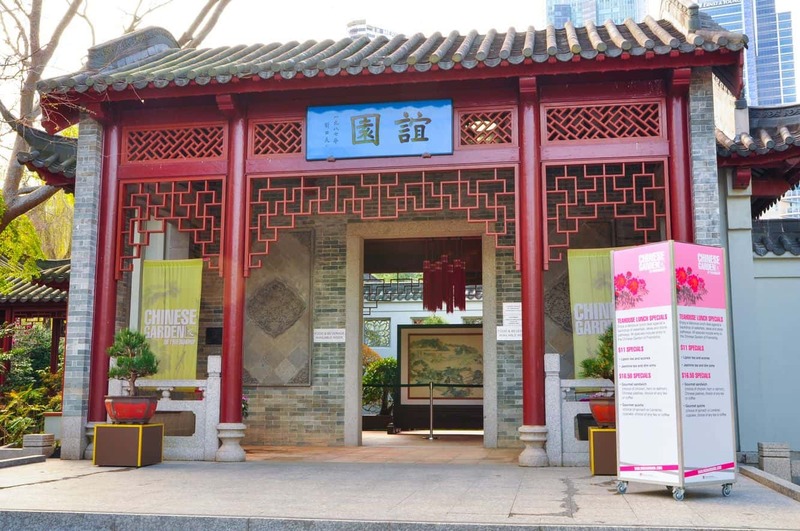 The gardens also host remarkable events all year long, but the most amazing one is Chinese New Year that brings the garden to life with colour and pomp. 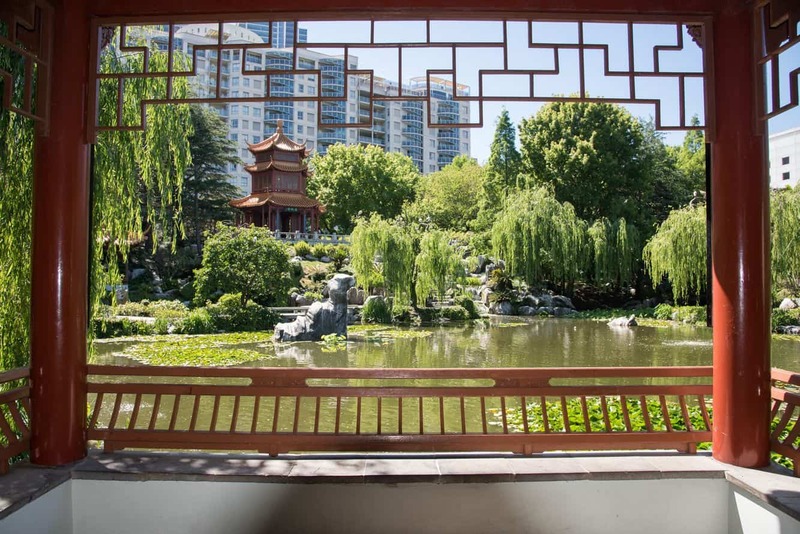 Experience the serenity of Sydney at Chinese Garden of Friendship for a memorable day trip.